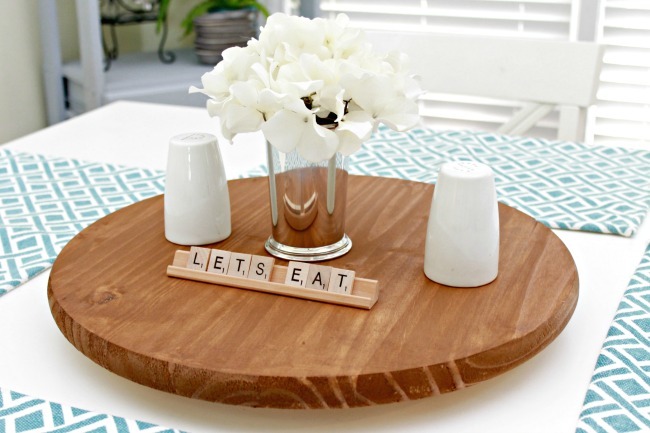 Make Your Own Lazy Susan for Your Table! If you are here from Ana White, welcome! 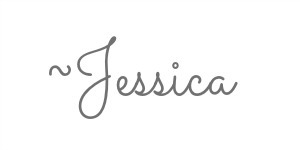 I’m Jessica, and I’m so happy you are here! Make sure to stick around and check out some of my other projects. 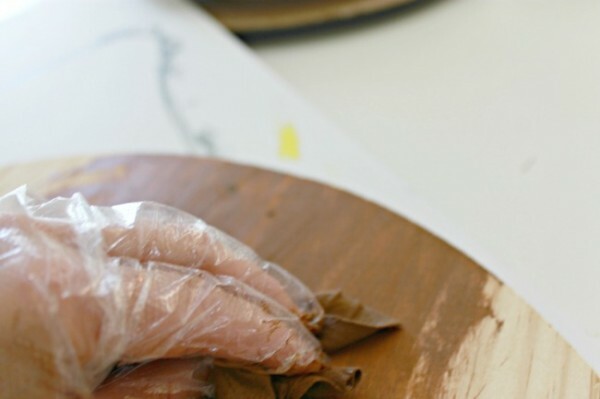 I love to share budget friendly ideas to make life easier. 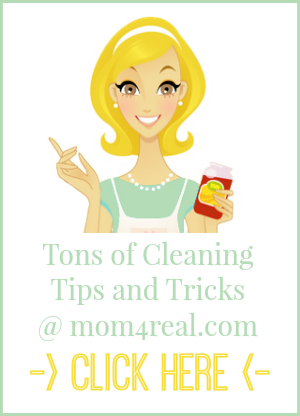 You can check out tons of cleaning tips, some DIY, crafts and recipes too while your here! And…thanks so much for the feature, Ana! I’m truly honored! Hey there! Happy Thursday! It’s been a busy few weeks over here. We adopted a new kitten, the kids started school, and I took a two day trip to New York to visit the folks at HGTV! Now that things are starting to settle down a bit, I am starting to get back into the swing of things! 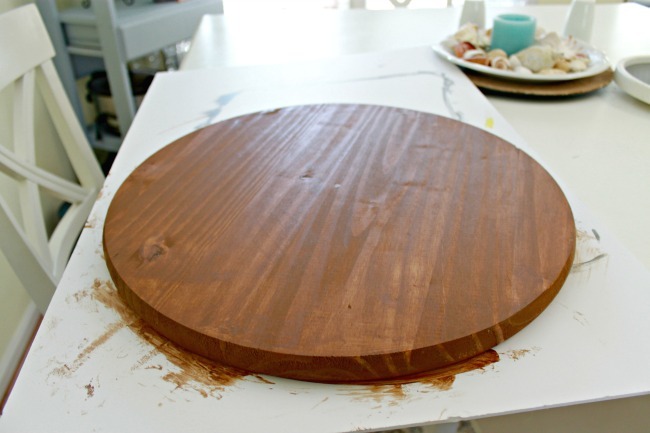 One of the things that has been on my list of to do’s is making a Lazy Susan for our table. I love sitting down for a meal with my family, but sometimes the passing around of food gets to me a little. For one thing, I’ve usually already cooked a meal…the last thing I want to do when I sit down for dinner is have to hand everyone the salt. 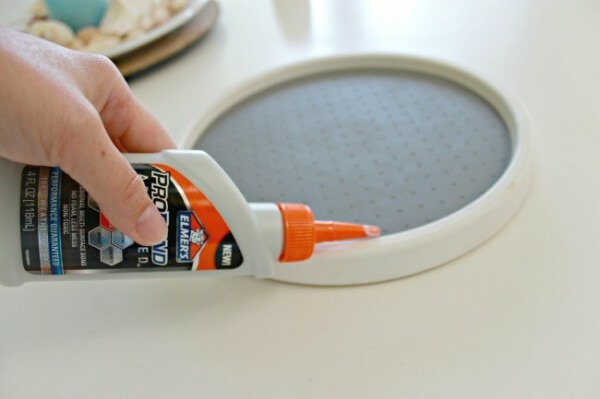 So, to remedy this problem, I finally decided to jump and make my own Lazy Susan! 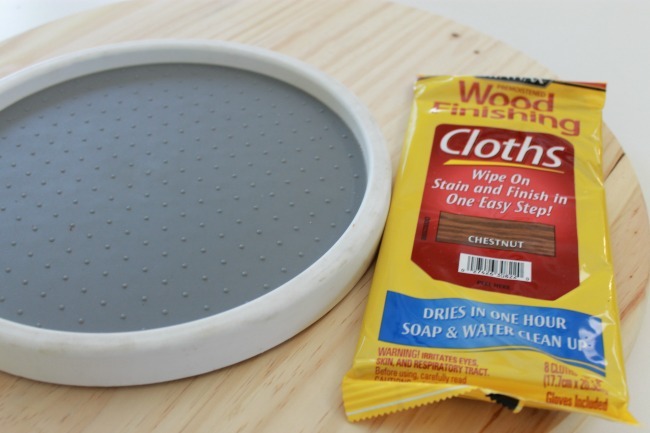 I started by rubbing the stain onto the pine going with the grain. Then I let it dry overnight. I used Elmer’s ProBond to adhere the spice rounder to the bottom of the piece of pine. You simply spin it with your hands…no work whatsover! Like this post? Feel free to share it on Facebook or Pin to your Pinterest Boards for future reference using the sharing buttons at the bottom or top of this post! 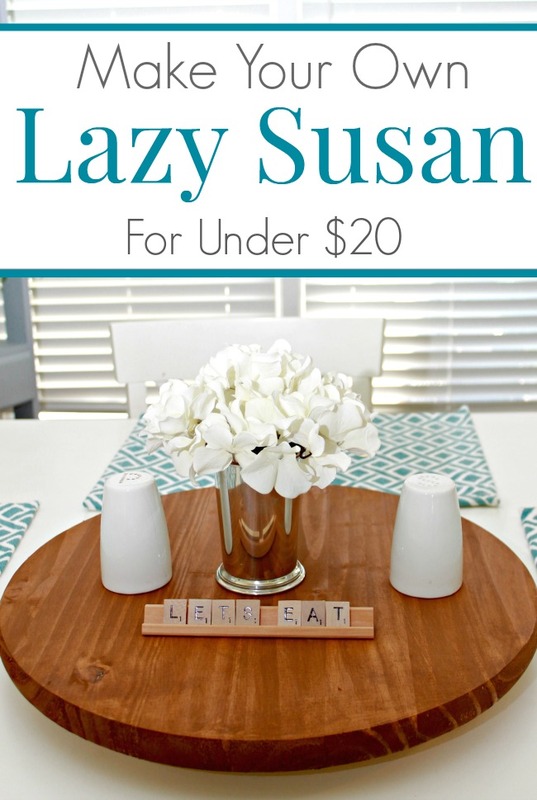 Where are the guidelines for creating the lazy Susan? When I clicked on the link I was taken to a similar paragraph that says nothing about how to. This is adorable! 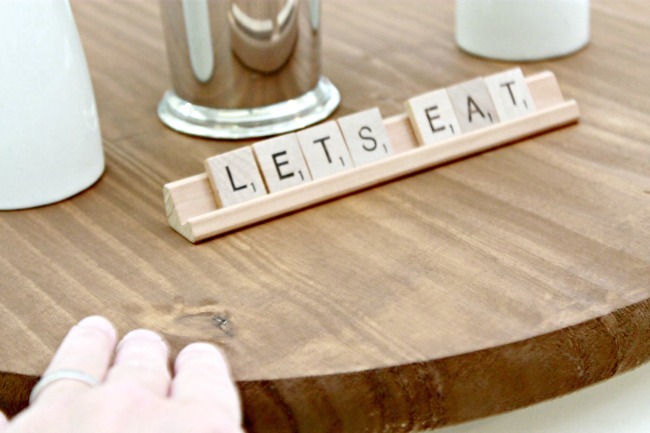 Love your blog…can’t wait to try some of the awesome projects!